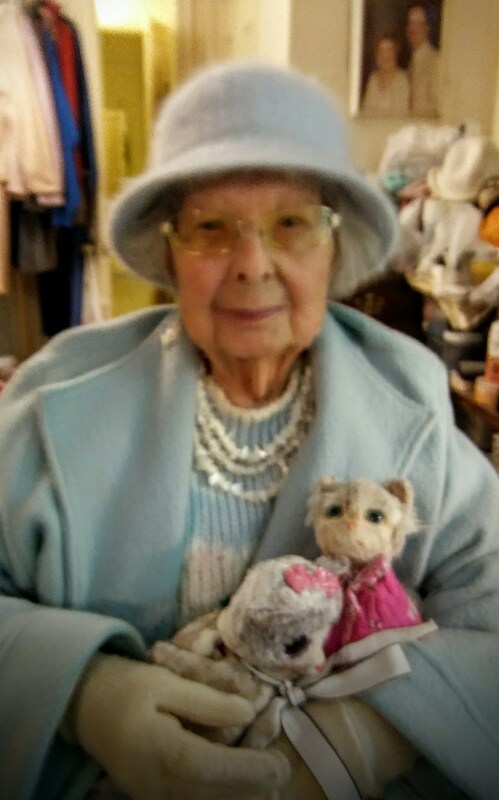 Morrelle Miller Rouse, 96, of Johnson City passed away Friday, March 15, 2019 at her residence. She was a native of Summerton, SC, daughter of the late Thomas Richard and Susie Gertrude Johnson Miller. Morrelle grew up in Hapeville, GA and was raised in the Christian faith. She was a member of Peachtree Christian Church in Altanta. She was a graduate of Russell High School also a graduate of Atlanta School of Business. Morrelle was a retired accounting clerk, she had worked for several different industries over the years, Rich?s Department Store, Retail Credit, Co., Holston Defense Corp, Holston Army Ammunition Plant and the Veteran?s Administration. She adopted her son Thomas Sherwood Boswell in 1952. Then she became a member of Waverly Road Presbyterian Church in Kingsport. She was a member of Colonial Heights Christian Church and married Robert N. Rouse, JR. on November 9, 1968 at this church. Morrelle was a member and former officer of the Daughters of the American Revolution, having served as Chapter Regent and State Committee Chairman. She was also a member and former officer of the United Daughters of the Confederacy having served as Chapter President, State Registrar and State President. Also member of the following organizations, National Society of Colonial Dames of 17th Century, National Society of Colonial Daughters of 17th Century, National Society of Southern Dames of America, Society of First Families of SC (1670-1700), National Society of Daughters of Colonial Wars, The Huguenot Society of SC, The Huguenot Society of TN. In addition to her parents, she was preceded in death by siblings, Thomas Richard Miller, Jr. and Virginia Miller Reeves; also a son, Thomas Sherwood Boswell. Survivors include: her husband, Robert ?Bob" N. Rouse, Jr. of fifty years; a niece, Geri Reeves Browning; two nephews, Thomas Richard Miller, III and Albert Thomas Reeves; grand nieces, Angie Browning Bastian and Molly Ann Browning; grand nephews, Bert Reeves and Neal Reeves and family, great grand niece, Alex Bastion; two great grand nephews, Bill Bastian and Jonathan R. Lee; God-Child, Linda Billings King of St. Louis, MO; beloved family friend, Rebecca ?Becca" Derosier and extended family (Donita, Joe, Kody and Kady). The family will receive friends on Wednesday, March 20, 2019 at Morris-Baker Funeral Home from 6:00 pm until 8:00 pm in the Dogwood Chapel. A funeral service will be conducted on Thursday, March 21, 2019 at 11:00 am in the Dogwood Chapel under the direction of Rev. Mike Richards. A committal service is to follow in Monte Vista Memorial Park at approximately 12:00 pm. Family and friends will leave in procession from Morris-Baker to Monte Vista Memorial Park. Active pallbearers will be selected from family and friends. Memorials may be made to the charity of one?s choice. My sincere condolences to friends and family for your loss. This hope really comforts me and I pray it can help you too: Jesus said, “the hour is coming in which all those in the memorial tombs will hear his voice and come out.”(John 5:28,29) The thought of holding those we love in our arms again can help us cope during this very difficult time. We are so sorry again,?Morrelle will be missed greatly. You can get more comforting thoughts at Jw.org. Type resurrection in the search bar to find more information. Our cousin, Morelle, was such a sweet, lovely person. Keeping her devoted husband Bob in our thoughts and prayers. As corresponding secretary for The Monday Club its members wish to express sympathy on the passing of Morrelle Rouse. She was loved and respected by her friends in the club. As corresponding secretary of the Monday Club of Johnson City, the members wish to express their symmpathy on the passing of Morrelle Rouse.